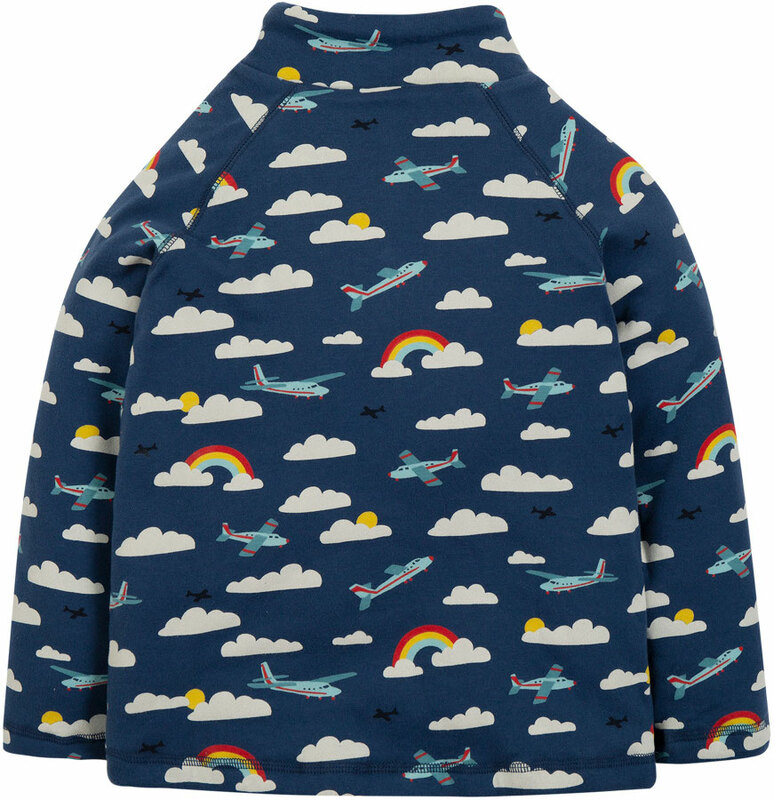 Fully fleece lined organic cotton pullover jumper, with an all over Fly Away print featuring airplanes, clouds and rainbows. 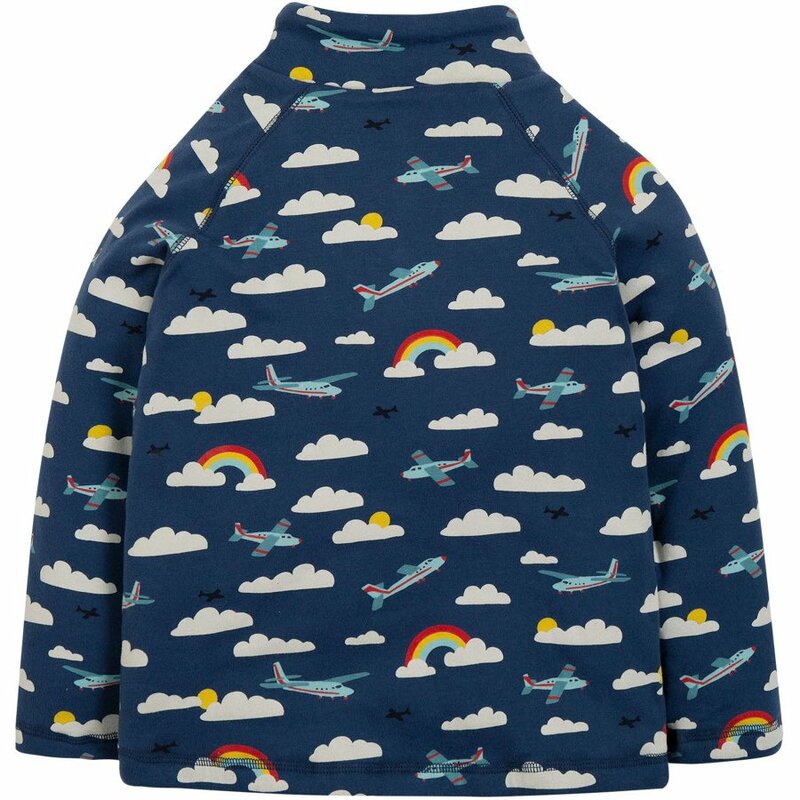 The organic jumper has popper fastening at the neck for easy dressing, a high collar and a hand warmer pocket at the front for extra cosiness. 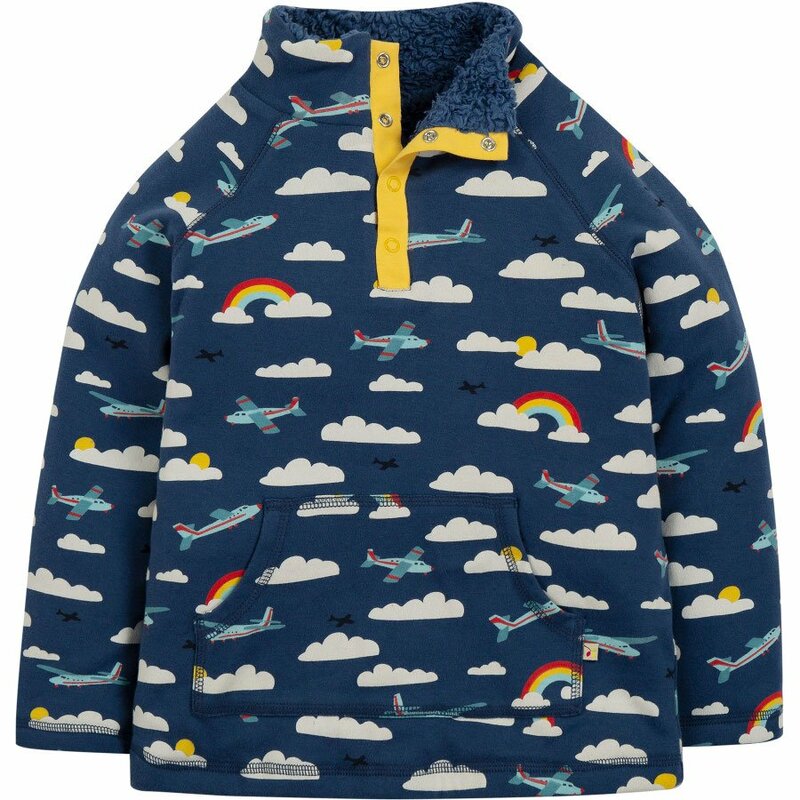 Frugi donate 1% of profits to chosen charities, helping people all over the world as well as ensuring the factories they work with in India, Turkey, Portugal and China work to their own ethical code of conduct. 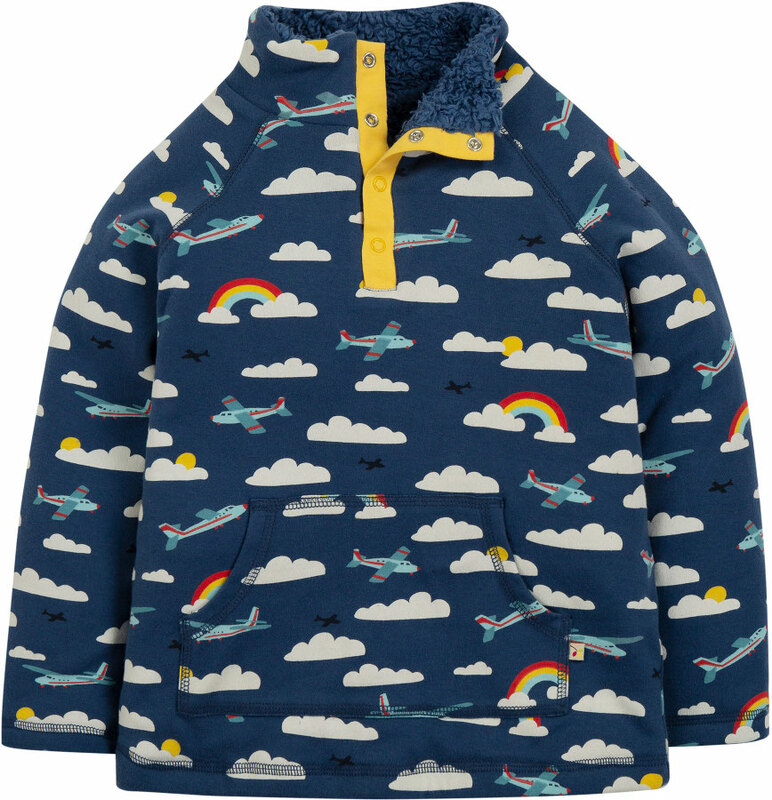 There are currently no questions to display about Frugi Clouds & Rainbows Snuggle Fleece.